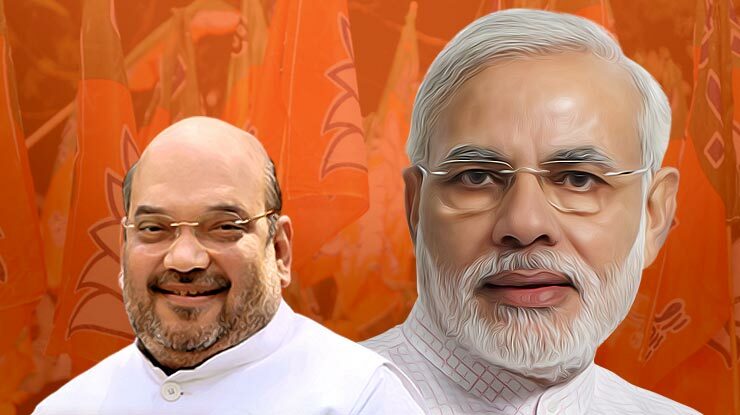 New Delhi: For all obvious reasons of number game and tough political challenges, the BJP poll strategists have drawn out special campaign roadmap for the four states of Uttar Pradesh, Maharashtra, Bihar and West Bengal. Put together - these four states send as many 210 Lok Sabha members including the most representatives 80 from UP, 48 from Maharashtra, West Bengal's share is 42 and Bihar sends 40 MPs. According to party sources, Prime Minister Narendra Modi will address at least 20 rallies in UP followed by 10 each in Bihar and Mamata Banerjee-ruled West Bengal and 10-12 in Maharashtra - where the party hopes to repeat the success tale of 2014 along with its partner Shiv Sena. Sources said Mr Modi will begin his fresh phase of campaigning for the elections on Thursday with rallies in Jammu and Kashmir, Uttarakhand and in Meerut in western Uttar Pradesh. The Meerut rally will cover at least eight Lok Sabha constituencies and in most cases party nominees too have been announced.These seats go to the polls in the first phase of the elections on April 11. The Samajwadi Party and BSP alliance is expected to provide a formidable challenge despite the saffron party having done well in the region in 2014 Lok Sabha polls and 2017 assembly elections. Mr Modi will also address rallies in Uttarakhand's Rudrapur and in Jammu. The voting for Jammu will be held in the second phase on April 18 while elections to the Udhampur seat is scheduled on April 11. BJP candidates for both the seats Jugal Kishore Sharma from Jammu and Jitendra Singh from Udhampur have been renominated by the party.